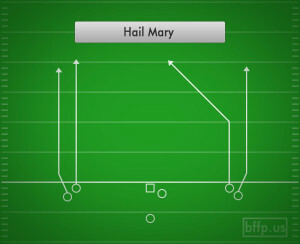 Hail Mary time! 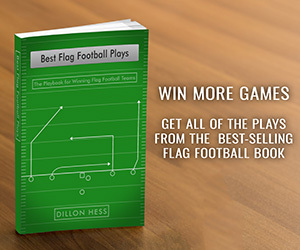 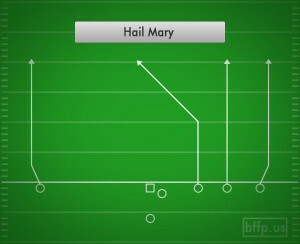 You only need to pull out this play when you need a whole lot of yards all at once. 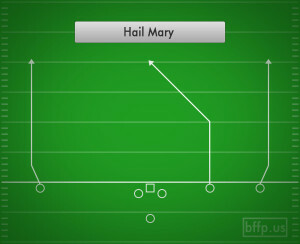 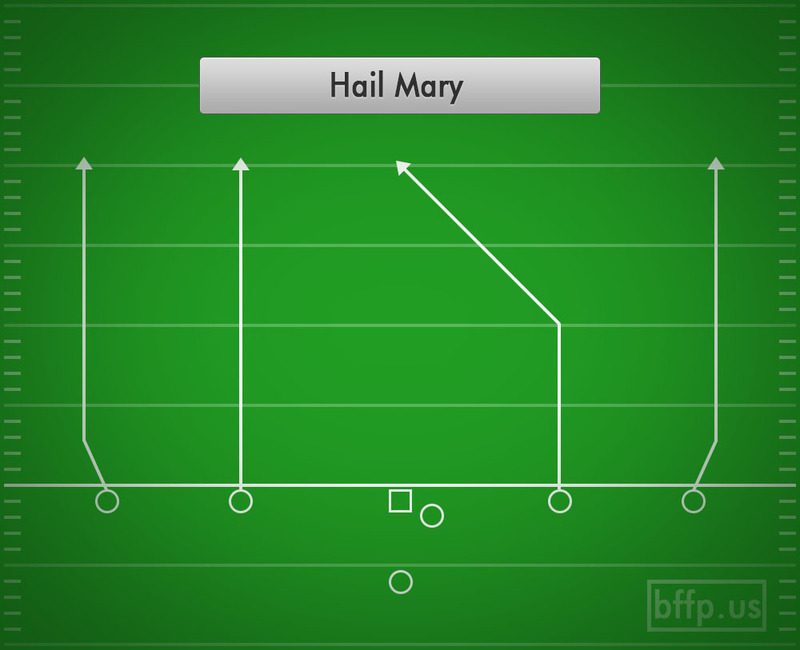 This version of the Hail Mary play is made to spread out the defense as much as possible, and potentially isolate a defender from the rest of his team. 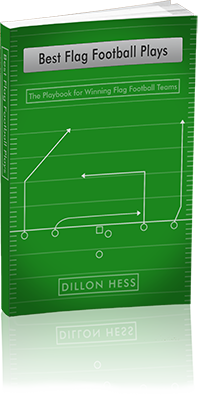 The Quarterback needs to find the WR who is able to get into a one-on-one match up and throw the ball up for a jump ball.